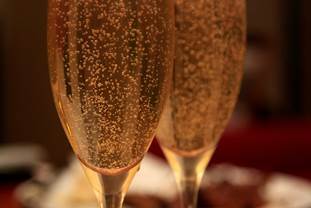 On Wednesday, December 31, 2014, FIG & OLIVE Newport Beach invites Orange County residents to toast to the New Year with French Riviera-inspired cuisine. Beginning at 9:00 p.m., the White & Gold Dinner Party featuring an exclusive four-course prix-fixe dinner ($150* per person) and complimentary glass of sparkling wine. An à la carte menu will be available for early seating prior to 9:00 p.m. Revelers can also ring in the New Year at the Cocktail Reception ($100* per person) from 9:00 p.m. – 12:00 a.m., which includes wine, signature cocktails, and passed hors d’oeuvres. During the fête, guests will celebrate with party favors while enjoying music by Saint Tropez DJ Thomas Toccafondi, followed by a festive balloon drop and countdown to midnight inside the expansive 12,000 square foot Fashion Island olive oil oasis. Bottle service will also be available starting at $105, offering a selection of champagne and spirits such as Veuve Clicquot, Dom Pérignon, and Belvedere. Four-course prix-fixe dinner will be available from 9:00 – 11:00 p.m. Cocktail Reception will be from 9:00 p.m. – 12:00 a.m.